It was a sunny, California Wednesday morning. We were having our weekly staff meeting, innocently sorting out the details for an upcoming service, when I mentioned an illustration I wanted to close out my sermon with. In previous generations, the denomination, the church building, and family expectations had such a strong hold that it virtually didn’t matter who the pastor was. Pastoral transition is one of the most dangerous times in a congregation’s life. We need to get better at it. Hi, I’m Karl, and I’m still a small church pastor. But I won’t be in the first chair much longer. Even if the church is large and growing, it can be hard when people leave. 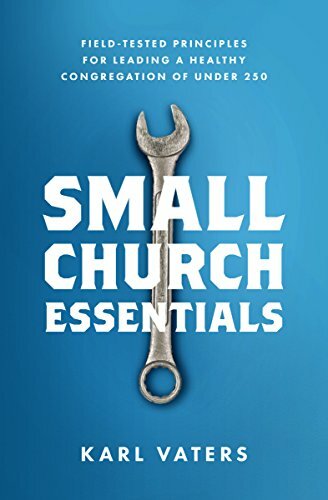 But when the church is small, each loss is much more painful. It’s hard when people leave a church. It’s hard to leave. It’s hard being left. In the same way that a healthy elephant is bigger than a healthy rabbit, a church's size has nothing to do with its relative health – or relative value. What weighs more, 100 pounds of bricks or 100 pounds of feathers? It’s an old riddle. One that makes you facepalm yourself if you get it wrong. Even people who love the church and are fully committed to its mission are not giving as much as they once did. Why should I smile when I’m talking on the phone? Unless it’s a video chat, the listener can’t see me smile. Because they can hear me smile. Yes, you can hear a smile. Leading a church that needs a turnaround is one of the most challenging, yet rewarding callings a pastor can receive. If your church hasn’t felt the results of those changes yet, you will soon. If you are feeling them, you may be scrambling to figure out what’s happening, why, and what to do about it.